I have not seen this type of "uneven" advance. We do not see the wind parameters or rain amounts coinciding with advance in MP region shown. A Central Region advance as shown is in fact showing clear conditions as on Sunday..
See vagaries' Map for our version of Monsoon advance...>>>>>>. Mumbai: Monday will see showers and periods of rain, with an average rain expected around 30 mms. Rains on Tuesday may be interrupted by some sunny spells, but showers will be heavy at times to bring around 20 mms. As mentioned , SWM moves into Surat on Sunday, and nominal showers continue till Tuesday...But, decrease there after. Pune, may get a thunder shower on Tuesday and Wednesday, breaking the dry monotony. Thunder squall in some parts or vicinity of Delhi NCR on Monday...decreasing rain and increasing heat from Wednesday in NCR. With situations not changing in june , can we expect a revival in first week of july ? 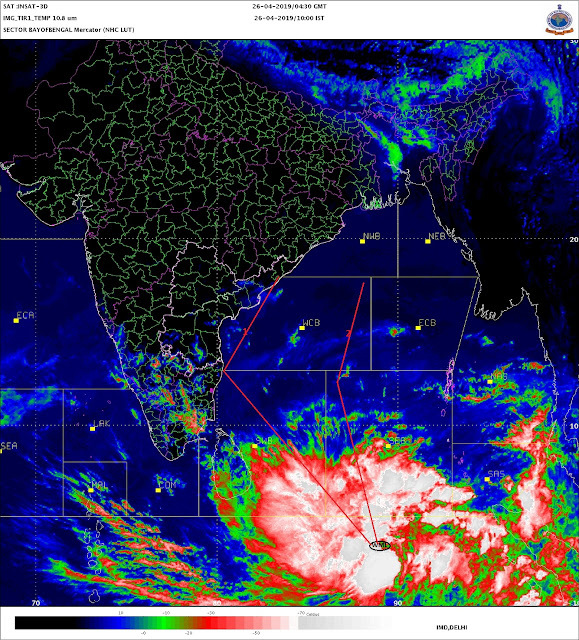 When can we expect a good low pressure area in bay of bengal ? Karan: The next Low pressure is expected in Bay off the Odisha coast around 19th of June..maybe 18th as an UAC and then Low on 19th. Expected to cross Odiaha coast by 20th. Depending on ttrack, we can expect good rain along the track, which may include M.P. and adjoining U.P. or if slightly South then Vidharbha.